I have two Sary's ; a full and a fall. My fall I wear more often, the hair definitely falls out. When I brush it a lot comes out, which is not normal. My full I don't wear as often, it's bulky but it looks good when professionally styled and blended in but it's difficult. feels very heavy. I thought I liked these two wigs, but over time you can tell which wigs are the best hair quality. i'd give it a 3/5. I have two starts one short and on long. They were both amazing prices under 2,000 and I'm a redhead so it's hard to find anything for that price that doesn't look like doll hair. I've had a more expensive wig (4,000) and cheaper and to be honest I loved my expensive wigs more. Sary looks good holds a style and does what it's supposed. I have mine from the regular sary line not pink and there nice but there not luxury wigs. If your looking for something nicely priced and you don't mind breaking in the cap ( it's hard and itchy for the first few months )and having not such luxurious hair this is the brand for you. Terrible customer service in Lakewood location. Lay that's in the front and picks up the phone was very rude. 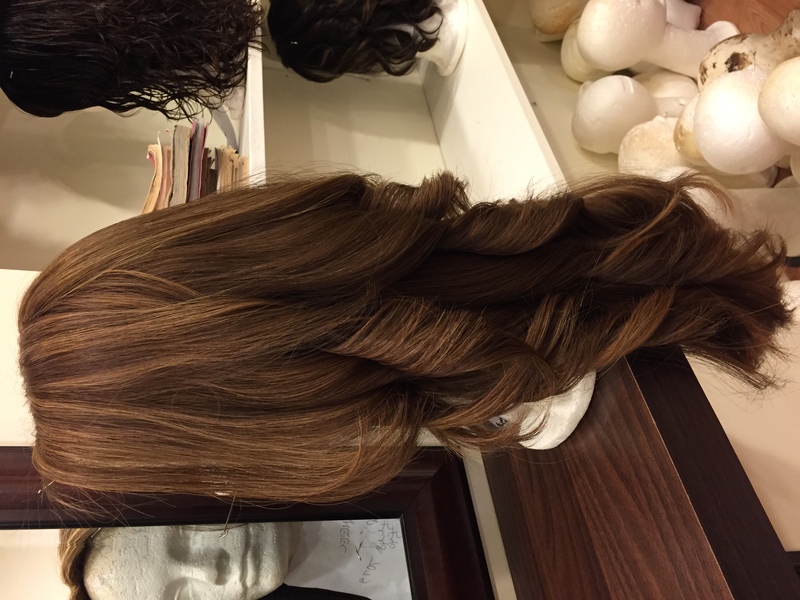 I am a new kallah and need help with choosing a sheitel. This lady was impatient with me and did not allow me to try on certain sheitels. At the end she was "surprised" that I even purchased a sheitel. Would not recommend even if they may have comfortable pieces. I need another sheitel and would not even consider going here just because of the poor customer service. Buying a sheitel for the first time is nerve wrecking as it is. The hair on my Sary gets coarse and knotty toward the bottom. After 2-3 washes I find it to be thinner already. The color stayed beautifully so far ( 1 year). During engagement, I had complimented several women on their shaitels and they all told me they were Sarys. People told me that it's normal to hate your first shaitel, to have problems with it, etc. I did NOT want that. A few weeks before my wedding I had a nervous breakdown in a shaitel macher's chair, because several had tried selling me hideous wigs that looked nothing like my hair and made me terrified to cover it. I almost settled on an unimpressive and overpriced wig when I noticed a sample hanging on the wall- a long Sary that perfectly matched my hair. I was THRILLED and agreed to buy it in seconds. Sondra in Monsey gave it a little cut and highlights and it was PERFECT for me- photo is attached. In the beginning it was my only one so I wore it almost every day for 5 months; now I love wearing it for shabbos and special occasions. Almost 2 years later, I still love it, feel beautiful in it, and it has been comfortable all throughout. Whenever I get it washed and set it looks fabulous and brand- new again. Even when I think it doesn't look so good, people compliment it. At first the curls stayed a very long time, now less, and can get knotty pretty quickly. Also the net has gotten loose so I have to put it on closer loops to be tighter. I have never contacted the company so I cannot speak to their service. Thank you Sary! Me. I am looking for a good place to get a wig in Monsey. I’m baaltshuva. No one is helping me. I paid under 1500 by Chavie leiner. i have it for 2.5 years and wear it all the time. the hair is very decent for the price, but you are not getting virgin hair for that price. it also does knot. but overall its nice, its a good style they are long and overall I find it very comfortable. I don't think mine will last for that much longer but I have been very hard on it. also the front definitely looks wiggy. overall though, a good deal for a very decent everyday wig! would buy again. Doesn't keep the curls much. Mine is long and hard knotty in the back. Also gets itchy and doesn't fit perfectly. Otherwise a very nice looking sheitel and love the volume. Love my Sari wig!!! I wear it everyday. I had an issue with the net, I sent it back to the company and they fixed it for free!!! Excellent customer service!!!!? I have a short length (LOB) wig from sary and I'm overall happy with it. I had it for one year now and it air dries nicely. The front isn't super natural but it is pretty decent for a non lace front wig. It's very comfortable and doesn't knot. Overall, it's easy and chic and does the job it needs to do. I don't love my sary. The cap doesn't fit Well making the wig look very coney. I spent extra money adding baby hair because the front was not natural. I do like that I can wash it my self. I've had people stop me on the street to tell me "great wig" but that's not really a compliment for me. I like the natural look not a wiggy look. Love my Sary. Got mine in Monsey from Michelle Gabay, I wear it almost every day, it's comfortable, holds a curl and great cut! the hair quality is not great but it holds curls and style very nice. They added baby hairs for me and its super natural looking. I have a shevy and barbra but i wear my SARY everyday! I’ve been wearing my Sary wig almost daily for about 7 months now. I love the way it looks, I love the way I can wash and air dry it on my own, and I love the beautiful natural wave that it has. I can't say how it will last, but it has lost quite a bit of hair so I can imagine that it won’t be too long before I have to add more. The wig is moderately comfortable (this is in comparison to my other wig which is a hand sewn cap and is SUPER comfortable). It's pretty heavy and can get itchy after a couple of hours of wear. The front that that came on the wig had hair sewn falling onto the face which I did not want, so my sheitel macher added a full lace front. It solves the hairline problem but is more delicate and requires maintenance. Most of the hair on the wig is beautiful- wavy and soft and not at all frizzy. I never have to set it because it dries perfectly wavy and shiny. But at the bottom, right by the neck, there are a few wefts of noticeably inferior hair-- coarse and frizzy-- which I guess were put in to cut costs. This hair knots up terribly and makes the wig puffy at the back. All in all, I am very happy with my Sary and would definitely go back if I was looking for another decently priced and decently comfortable option. I have had my sary for almost two years and love how it feels and looks! Bought my Sary 2 years ago by Chavie Russell in Chicago. Great customer service...went back a few months later and she trimmed bangs for free. Sarys are long lasting shaitels - the downside to that is that the hair is coarser and they are less "natural" looking. the front is pretty wiggy. but I have had it 2 years and it is is in exactly the same condition which is pretty cool. fairly comfortable as well. I'm really happy with my sary. The lace front makes it looks so natural and I am always getting compliments on it. The style holds really so it doesn't need to be washed and set that often. Mostly happy with my Sary. It's a little thick, hair quality isn't amazing. But it holds beautifully and it's very comfortable. It gets very knotty.